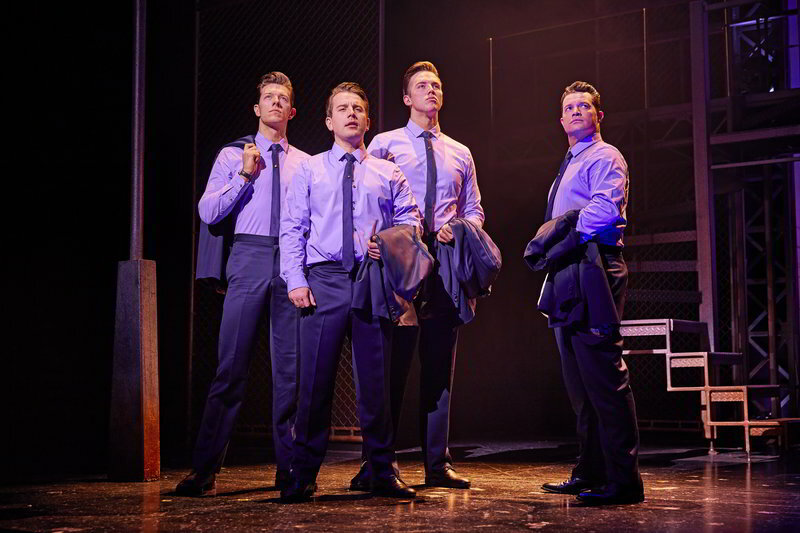 The highly anticipated Jersey Boys has finally made its way back to Manchester- to The Palace Theatre. 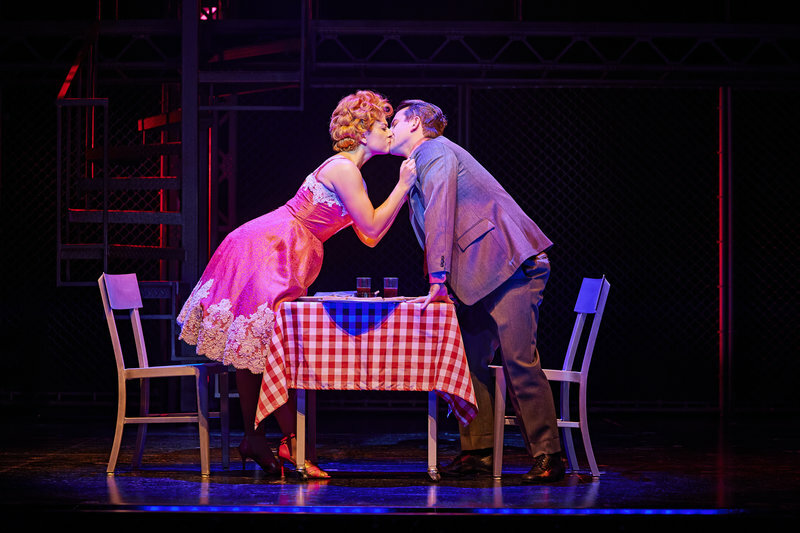 It is unquestionable that this musical has all the bright lights and glamour you could ask for. From the off, you are thrust into a concert and it doesn’t stop there. 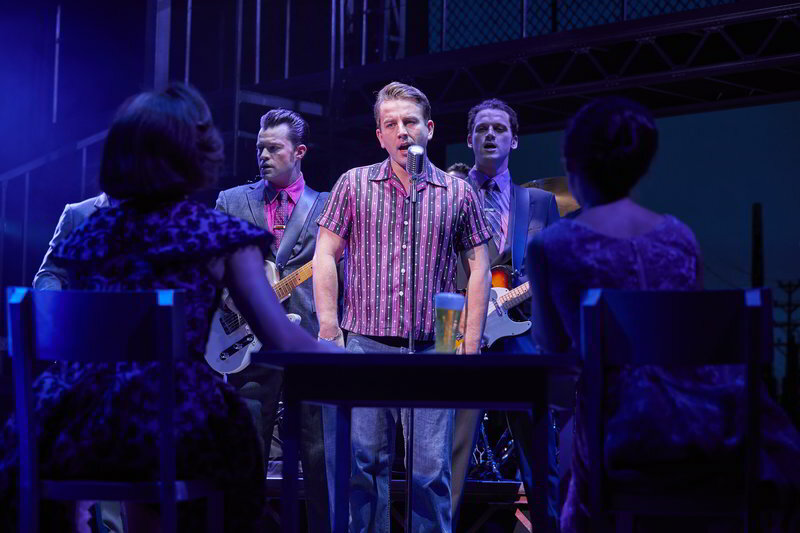 The music throughout the show is expertly sung and is unbelievably true to each singer. Especially Frankie Valli’s whose voice is known for being difficult to crack. Michael Watson does it flawlessly (We Will Rock You, Shrek). 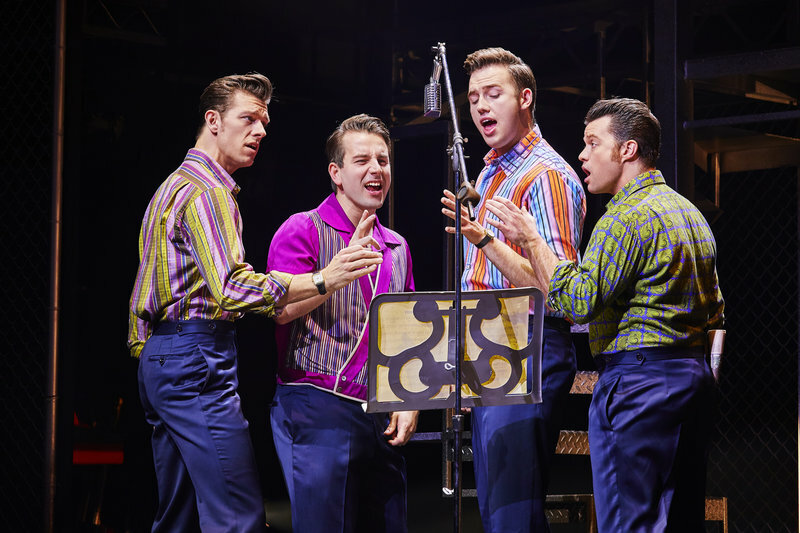 The Biographical musical shows the lives of Frankie and The Four Seasons over a span of around 40 years. How they manage to do it is by covering the four seasons. Literally. Each of the boys narrates a different season: Tommy Devito (Simon Bailey–Les Misérables, Joseph and the Amazing Technicolour Dreamcoat) narrated the first season Spring. ‘Spring’ very much depicted the rise of The Four Seasons and so cleverly had the Tommy, the creator of the group, narrate it. Bob Gaudio (Declan Egan- The Book of Mormon, The Great Gatsby) narrated the second season summer, where the group spring to fame- under Gaudio’s songwriting expertise. The penultimate season, fall, is narrated by Nick Massi (Lewis Griffiths– Dirty Dancing, Legally Blonde The Musical) which, poignantly, represents the fall of the group. Finally, Frankie Valli narrates the last season, winter, that Frankie finds himself alone in. Of course, it doesn’t stay that way for long. The different narratives let each character have their say too- after all ‘’you ask four different guys and get four different stories’’- and each member deserves their own say. Everything about this musical is true to form- the costumes, the signing, the accents- but nothing beats the characters. Simon Bailey perfectly encapsulates Tommy’s mischievous and quick-witted personality whilst also giving him a subtle vulnerability. Bobbi, portrayed by the fabulous Declan Egan, is shown to be a young egotistical songwriter but he soon grows out of it and Egan manages to show this on his own through the whole show. Nick also is fantastically portrayed, by Lewis Griffiths, as the quiet and often overlooked member of the band but every time he opened his mouth the theatre was howling. 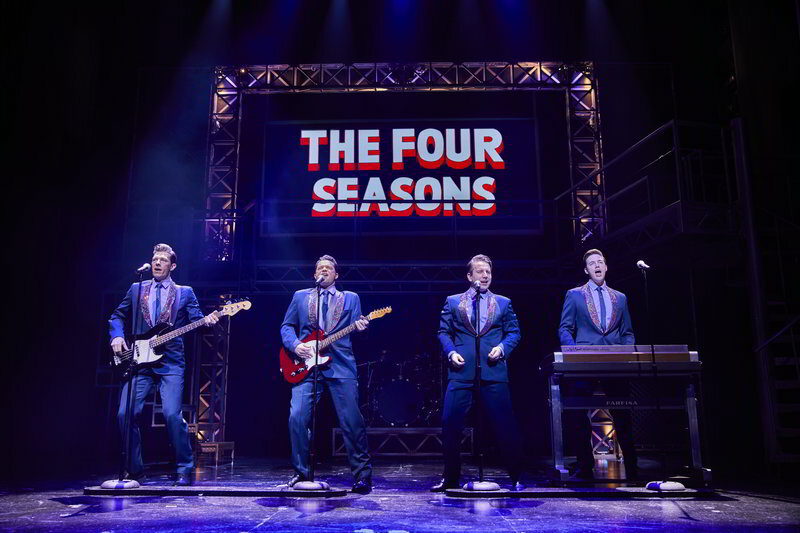 The writers of Jersey Boys, Marshall Brickman and Rick Elice, worked closely with the surviving members of the four seasons and it shows. The musical is as close to the real events as you’re going to get. However, personally, the best part of the whole show was Frankie Valli, who was portrayed by Michael Watson. He put so much into the show and for someone who is barely off the stage during the performance it must be incredibly hard to do that. When he finished singing ‘I can’t take my eyes off of you’ and looked out into the crowd you could see how he could do it. That was the look of someone who truly and undeniably loves what he does. Read my interview with the wonderful Michael Watson here.